Black Thought of The Roots is ready for his close-up with the release of Streams Of Thought, Vol. 1. His moniker, Black Thought, has always been a double-entendre that felt like it belonged to all of us for the way it communicates a collective angst and rage, darkness and genius. For the South Philly-bred co-founder of The Roots, born Tariq Trotter, that nuance is equally reflected in his life and rhymes. It's lent him a depth and duality rare in this age. To find his equal, one almost must look beyond the confines of rap. When Coates took the stage near the program's conclusion, the celebrated chronicler of contemporary black American life paused first to pay respect to his literary peer. Looking over at the bearded and brimmed Black Thought, Coates nodded and told the crowd, "I wish I wrote them Thought verses. I'd trade this whole book for that, man." It was a huge accolade from one clear-eyed realist to another. Black Thought's been basking in overdue props lately. The viral Hot 97 freestyle that sent the Internet into a tizzy six months ago made him something of an anomaly — a hip-hop vet, 30 years into his career, finally recognized for being at the top of his game. Now, with the release of his first side project, Streams of Thought Vol. 1 (produced by 9th Wonder and The Soul Council), he's further emerging from the shadows. It's a new reckoning for an artful dodger who's always excelled at drawing complex illustrations while disappearing into his own canvas, but he stops short of calling Streams of Thought a solo project. For Black Thought, the appeal of a collaborative series featuring a rotating cast of producers is less about hogging the spotlight than delivering stream-of-consciousness flows without the meticulous plotting associated with The Roots' high-concept approach. But there's a bigger reveal behind Black Thought's album release, and it drove our conversation, which took place in Manhattan in April. By 16, he'd lost both parents and found his life's calling. It became his saving grace. At 46, he's beginning to unmask in music and life. And it feels like the self-professed introvert is honing in on another growth spurt, 30 years later. There's a line from Between the World and Me in which Coates writes to his son, "Part of me thinks that your very vulnerability brings you closer to the meaning of life." 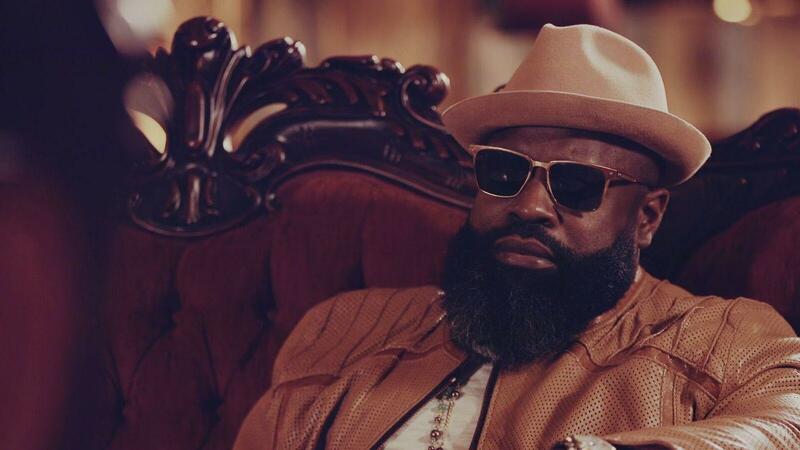 After a career spent processing all our angst and pain, Black Thought is finding comfort with baring open to the world his whole soul. For me it lent a certain sort of validity to what I'm doing, what I've been doing. We communicate via social media and had been doing so for the past couple of years. But we met in person earlier in the week at the same sort of event at the Apollo, and it was there that he kind of revealed to me that during that time in his life when he was still trying to become a writer and trying to be a writer, that my style of writing on a particular record — I think it was the Things Fall Apart album — was what he was kind of modeling his style of writing after. He was trying to capture a similar voice. So I was super-impressed by that and I just felt like it was a moment in which things had sort of come full circle. Because I've definitely been inspired by the book and by his writing. So, to come to the realization that my work inspired the work that, in turn, re-inspired — it was just a dope sort of revelation. I was, I want to say, 6 or 7 or so when I really began to realize my father was murdered. But as far back as I can remember I'd always known that he had passed away. Even now, I continue to just acquire little tidbits of information. I might run into somebody on the street who's like, "I'm a big fan. By the way, I was a good friend of your father's." And they'll give me some information, something that I may not have ever known about my father in the way he was. Just because it was the '70s at the time that I lost my father — there wasn't as much documentation. There were a couple stories, like newspaper clippings, that were around the time that his body was found. But this is the era of microfiche as opposed to just being able to Google what had taken place. There have been some books that have come out over the years about the Philly Black Mafia, or an organization called Black Brothers, Inc. And just information that has come out in more recent years about a particular mosque in Philly, Mosque No. 12 in the Philadelphia Islamic community at that time, that has shed a little bit more light on my father and what his sort of dealings were — one side of what his dealings were. But there's still very much that remains a mystery to me, even to this day. Knowing that she was a fighter, I know that she put up as much of a fight as she could. But we lost her. No one had heard from her for about three or four days, which seemed strange. She would go on binges; she would disappear sometimes for 24 hours, maybe 48 hours at a time. But when you start hitting three days, four days, it's like, what's up. And the sad part about growing up where I did and when I did is, when you haven't heard from someone for a couple of days, the first thing we do instinctively is start the search. We start with the hospitals and then we start with the jails and then we start, you know, beyond that it's the morgue, you know what I mean. So as we expanded our search, my mother was found to have been in the morgue. And it was it was crazy. Our gut told us that we had found her, but she wasn't identifiable. We had to identify her by some old dental records. So it was crazy, it was messy, and we couldn't have an open-casket funeral. The worst that you could expect is the end that she met." For me, the arts has always been sort of my saving grace. The moments in life that I cherish most were those brief moments when I would get to escape: either like mentally I would get to escape, because I would be deep in the creative process, or physically — I would leave the neighborhood for a little bit to go to art class on Saturday mornings, or in the summertime my mom would sign me up for art camp, and that took place out in the middle of Fairmount Park in Philly. So just those little small pockets of getting away from the neighborhood gave me just a different perspective when I returned. Yeah, it's always been, for me, about the arts. We had reached a point during that time where it was like, ahh, maybe this isn't the best idea. Maybe live instrumentation with me rapping over it wasn't the best plan. There weren't very many other artists who were doing that at the time and, I don't know, sometimes you second-guess yourself. You, know you think, "Well, I think I should just get a DJ, because that would be a better format within which to showcase my skills." I felt like the band at the time, like just how cumbersome the instruments were — a huge upright bass and then Questlove, you know, a big dude on the drums — I felt like that was all taking away, sort of, from the focus on me. That being said, we took it to the streets sort of as a last resort — like, "Well, let's just go and see if this works out." The art of lyricism is now in its greatest decline. That's why it's like, somebody comes out and you drop some bars of substance, it's like it's amazing. It's like a unicorn. But, you know, I come from a school. People who have known me for years, they were less than impressed. Like, "I've seen you do better." You know what I mean? They pick out little mistakes: "Oh, you faltered here. This syllable came out weird." And that's cool, you know what I'm saying — because that's how they know me. But I feel like the standard, like the bar right now, is particularly low. So I'm continually trying to raise the bar." It's always been about the greater good of our organization for me. All those solo efforts that I've announced, it breathes new life into the awareness of me as an artist. The Roots brand always has to be maintained, and we're just at a place now where prime-time TV affords us a different sort of visibility and I'm able to kind of take a step back and focus on some of the other creative energy that I still need to get out. None of this is my solo album. It's just a chance to see me in a different light doing a different thing. It has presented some internal conflict, and the way I address it is just maintaining that separatism. The fact that Jimmy refers to me only as Tariq on prime-time television is right on par with me making a conscious effort to be more vulnerable and show more vulnerability and to be more human and to be more accessible to my audience. In the beginning, I stopped wearing sunglasses and everything. When we started the show, that was short-lived. But yeah, I was trying to just be more transparent in that way. I feel like Black Thought is a name that has so much meaning and depth, not only to me but to my fans, that it's something that I wanted to hold onto a little bit tighter. At the onset of late night with Jimmy Fallon when it was like, "What are we going to refer to you guys as?" I don't know, I chose to [be] Tariq. Something that is funny, that I use sometimes if I'm doing comedy, is the fact that I'm now often mistaken for the rapper Rick Ross. And I don't know that I've ever corrected anyone — like I've never said, "No no, I'm not Rick Ross, I'm Black Thought from The Roots." Sometimes little kids come up to me shaking: "You mind if I take a picture?" And I'll take a picture and I'll hear one whisper to the other: 'I love Rick Ross." Or someone will come up to me on the street, you know, and say "bawse." Just a couple weeks ago I went to Puerto Rico to do a benefit concert down there. I arrived at the hotel, the doorman came and opened the car door and I stepped out, and dude was talking and I just heard him — in broken English because he had, like, a Spanish accent — I heard him, just, "Welcome, Mr. Ross." I'd rather not correct them. I let people have that moment, because for them it's just as special. I don't say, "No, no. It's me, the dude from The Roots." But sometimes I've had people come in [and] talk to me for you know five, seven, 10 minutes about how I've impacted their lives and, you know, how important my music has been. And I might start to assume that they recognize me. And then they'll get to the end and it's like, you know, 'Thank you, Rick."